This Christmas season, Chris Brown is praying people buy his album. "Nothing is impossible. 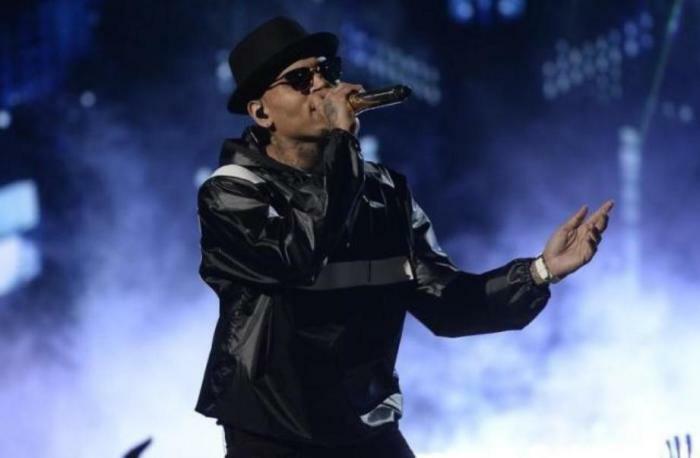 I just hope and pray that all this hard work and long restless nights in the studio pays off," Brown tweeted on Sunday. "Wrote and directed all eight videos with my album. Storyline, action, fun, then most important is responsibility. I just pray you buy it." The 26-year-old singer released his seventh studio album Royalty on Dec. 18, which was named after his 1-year-old daughter, whom he shares with model Nia Guzman-Amey. Brown is donating $1 from every album he sells to Children's Miracle Network, a nonprofit that raises money and awareness for children's health. "You have these platforms and these positions as an artist. ... It only matters if you help people along the way," Brown said on host Ryan Seacrest's radio show earlier this month. After becomming a father last March, Brown told "On Air With Ryan Seacrest" that fatherhood has changed him for the better. "It's actually great, it's very humbling, and it's very calming," Brown told Seacrest. "Being able to be a father and seeing my daughter from those gradual stages — from crawling, to walking, to saying words, to learning different things every day — is kind of teaching me patience and it's been great." It seems Brown has been trying to turn over a new leaf since Royalty came into his life and shared that positive new outlook on life while celebrating his 26th birthday on May 5. "We create our own outcome and destiny in life. My path has been a very blessed 26 years on this planet and I'm still learning I can only be the best I can be," Brown wrote. " Sorry enough with the rants! Thank God! I'm grateful and thankful." Despite many of the obstacles and setbacks he has faced publicly, Brown has made it clear that his Christian faith has also molded him throughout the years. In 2012, the singer appeared on MTV's "This is How I Made It" program where he opened up about his humble beginnings in a church where he grew up in Tappahannock, Virginia. "It was difficult growing up. We didn't have everything we wanted," Brown revealed on the episode that aired three years ago. "We were used to two pairs of shoes for a school year. We used to go to church every day. I was one of those kids that had more church clothes than school clothes." The Grammy Award-winning R&B star said church taught him a lot about music and he spoke about the place of worship becoming a form of discipline for him as a child.